Did you know that State Farm is just as much an expert on life insurance as they are on home and auto? In fact, State Farm received the J.D. Power award for the fifth year in a row for customer satisfaction in life insurance late last year. 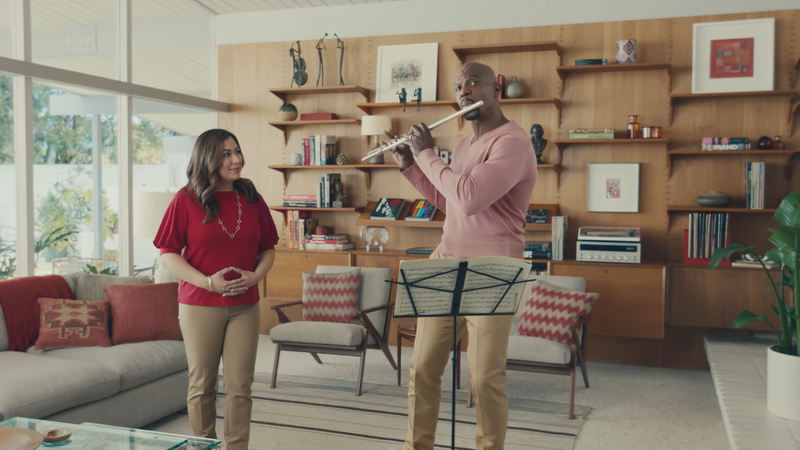 Not many know this, which is why State Farm has partnered with DDB on their latest creative campaign to highlight this ‘hidden talent’ with the help of some familiar – and equally talented – faces. “It feels good to be known for more than one thing!” Crews proclaims, followed by a spontaneous dancing pec display. “Hidden Talents” comes to life in national broadcast, online video and social media. The broadcast spots will run across cable and network (FOX, NBC, CBS, ABC, CWN), and the social posts will live on Facebook and Instagram. State Farm’s “Hidden Talents - I’m Impressed"
State Farm’s “Hidden Talents - Let Them Speak"